In this single-player game players rotate from controlling Bill or Ted in a 3/4 overhead perspective as they gather the "phone numbers" (passwords) of several time travling levels. The object is to locate historical figures and return them to 1991 for a high school history report. While wandering through each world, players gather clues by talking to characters. These other characters may also put Bill and Ted in jail or steal their money. 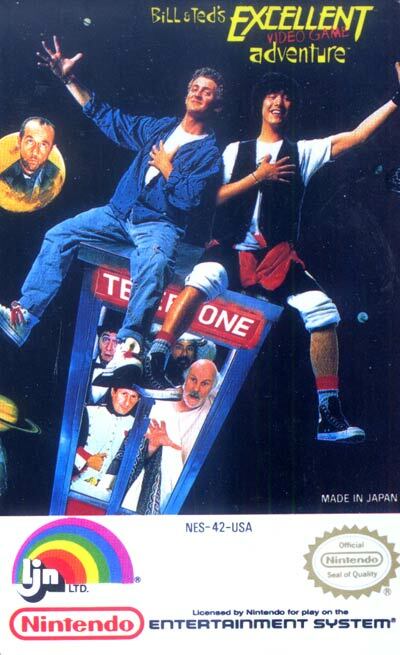 Bill and Ted can collect keys to escape from jail and various objects to destroy enemies, such as firecrackers, cassette tapes (that make the enemies dance), textbooks (that make all enemies on the screen disappear) and pudding cups. Locating each historical figure is only the first objective, as they must also locate the "historical bait" hidden in each level that will persuade the famous person to follow Bill and Ted back to 1991. Once the historical figure has been lured in, players must maneuver through time by steering the phone booth through the correct pipe line. Each change in direction uses a single coin, and when the coins run out the level must be replayed.